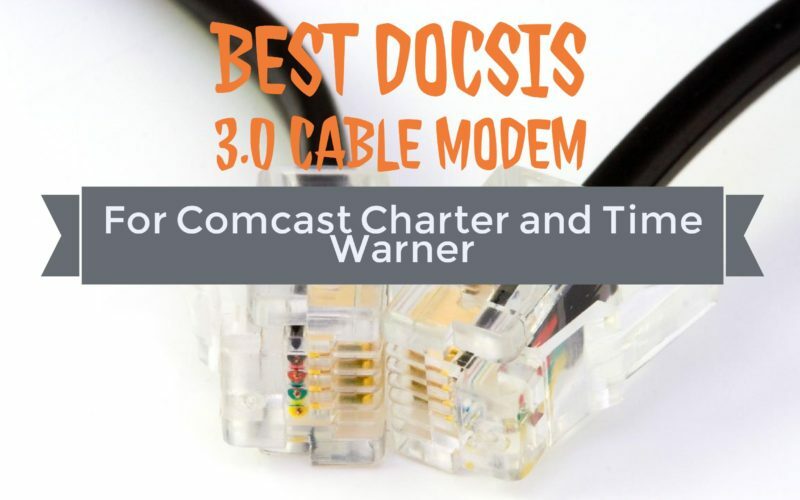 Are you on the market looking for the best DOCSIS 3.0 Cable Modem on the market? Look here first. Cable modems are not complicated but are relatively straightforward, that is of course if your initial setup goes smooth. If you are looking for the best home broadband speeds, cable internet service is still the best option. In this article, we have included some of the best DOCSIS 3.0 cable modems that we could find on the online marketplaces. The market is full of cable modems, so you have to be careful while choosing the one that is compatible with your service provider. 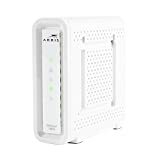 Always look for the latest DOCSIS 3.0 cable modem as DOCSIS 2.0 is quite older technology and won’t be able the provide the optimal speeds that your service provider is offering. In below list, we have the latest best DOCSIS 3.0 cable modem for home broadband. Starting the list with the most affordable cable modem, we have the Zoom 5345 DOCSIS 3.0 cable modem. It is an 8×4 cable modem that provides up to 343 Mbps downstream speed and up to 143 Mbps upstream speed. This cable modem has eight downstream channels that give average higher rate than the 4×4 cable modems. 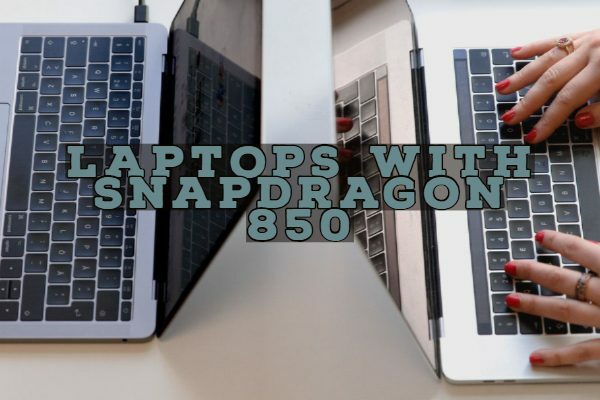 It works with Windows and Macintosh or any other Ethernet-capable computers and can also be used for wired connections. For wireless, however. You need wireless routers. 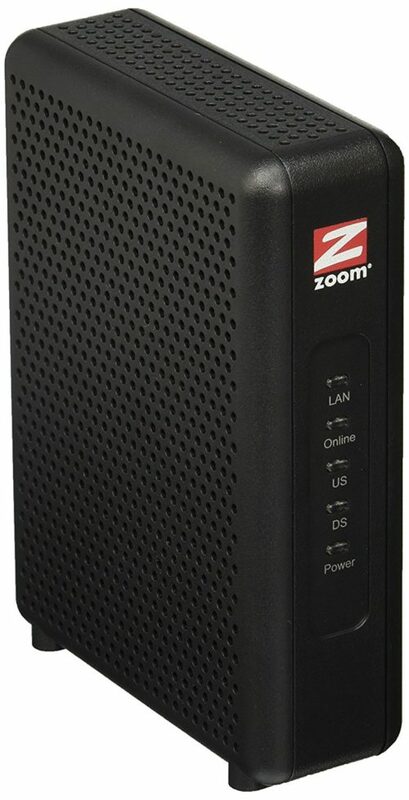 Zoom also gives a 2-year warranty on this cable modem. Netgear, as you know is a well know manufacturer of networking products. 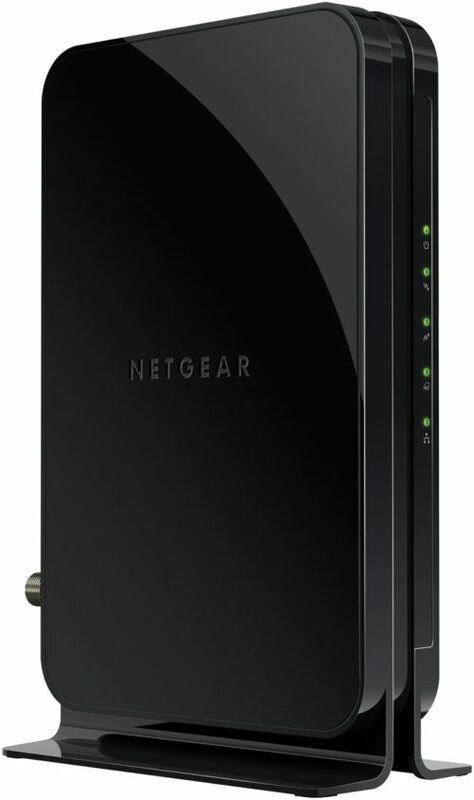 Netgear CM400 is an 8×4 DOCSIS 3.0 cable modem. It is compatible with Xfinity from Comcast, Spectrum (Charter, Time Warner Cable, Brighthouse), Cox, CableONE & more. It has eight downstream channels that provide download speeds up to 340 Mbps. It has a Gigabit Ethernet port for faster-wired access. For comparison’s sake, the DOCSIS-3.0 is eight times faster than the older DOCSIS 2.0 cable modems. 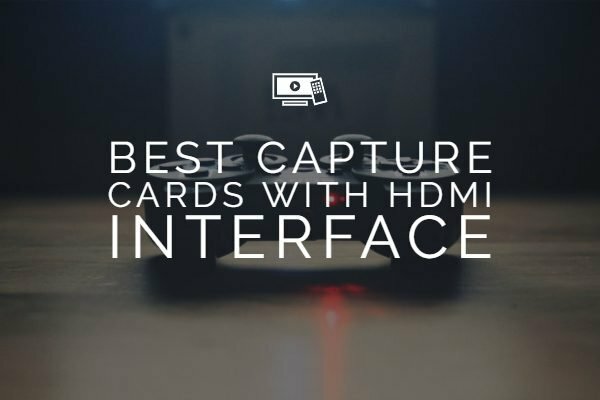 It is ideal for streaming HD videos, faster downloads, and high-speed online gaming. The device features only a cable modem. For a wireless network, you will have to connect this to WiFi router via an Ethernet port. It is also available with a WiFi Router bundle on online marketplaces, so do check them before buying. TP-LINK TC-7610-E is another DOCSIS 3.0 cable modem that offers download speed up to 343 Mbps and upstream speed up to 150 Mbps. It supports the latest networking standards. It features eight downstream channels and four upstream channels like the first two cable modems. There is not much cost difference between the first three cable modems. This modem will not work with fiber-optic gigabit Internet, just for you to be aware you about its limitations. Rest of the things are same as the other routers on the list. For peace of mind, it comes with a 2-year industry leading warranty and lifetime technical support. 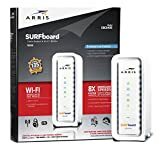 If you don’t like the above DOCSIS cable modem, then you might consider the ARRIS SURFboard SB614. It is also available in the same price segment. This modem is compatible with Comcast Xfinity, Time Warner Cable, Charter, Cox, Cablevision, and more. But it is not compatible with Verizon or AT&T. It is only a cable modem and does not have a WiFi router. You will have to buy a new one, in case you want to create a home Wireless network. It features eight downstream channels, and four upstream channels that provide up to 343 Mbps download speed and up to 131 Mbps upload speed. 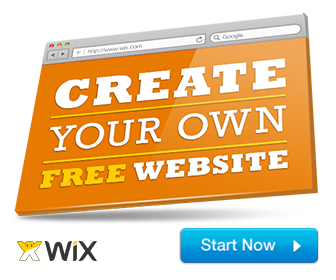 It is easy to setup, with just simple steps you will be ready to surf the net. Just plug your live coax cable into the modem, plug in the power cord and give it a few minutes to go through the provisioning process. Moving on to the premium segment, we have NETGEAR CM500-1AZNAS DOCSIS 3.0 cable modem. It is a 16×4 cable modem, which means it has sixteen downstream channels that provide up to 686 Mbps download speed and four upstream channels. This cable modem supports cable internet service plans up to 200 Mbps. It supports IPv6, comes with an Ethernet port to connect to the WiFi router. It is DOCSIS 3.0 CableLabs certified. It works well with Comcast XFINITY, Time Warner Cable, Charter, Cox and more. The sales package includes the high-speed cable modem, Ethernet cable, quick install guide and power adapter. Motorola MG7550 is a combo of router and cable modem. It is better to have a combo of router and modem rather than investing in two different devices. Separate router and modem will not only take extra space but also consumes more power. The Motorola AC1900 is a tad pricey, but it’s worth it because it’s a dual-band 5GHZ AC router. It is a 16×4 DOCSIS 3.0 cable modem plus router. It provides downstream speeds up to 686 Mbps thanks to the sixteen downstream channels. It packs four Ethernet ports for wired connection. On top of that, it has an inbuilt WiFi router that can operate in dual-band 2.4 GHz and 5 GHz. 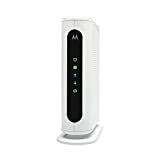 Motorola cable modem is certified to work with most major Internet service providers such as Comcast-XFINITY, Time-Warner Cable, Cox and Charter-Spectrum. Two years warranty backs the DOCSIS 3.0 cable modem by Motorola. Let’s say you are an internet pro and won’t mind spending the extra money. When it comes to the internet, everybody looks out for the fastest speed, but speed comes with a price. Netgear Nighthawk AC1900 is designed to handle all those HD video streaming or 4K gaming you would want to do. The powerful 1.6 GHz combined processor boosts performance for streaming & gaming. It is a combo of router and modem. With 24×8 channel bonding, it provides speed up to 960 Mbps (download). The dual-band AC1900 can operate in dual 2.4 GHz and 5 GHz frequency band. With its extended WiFi coverage, you can enjoy the wireless network at any corner of the house. This DOCSIS 3.0 cable modem is ideal for Comcast XFINITY Blast/Extreme Internet plans & more. We firmly advise checking with your service provider or the modem manufacturer for service compatibility. 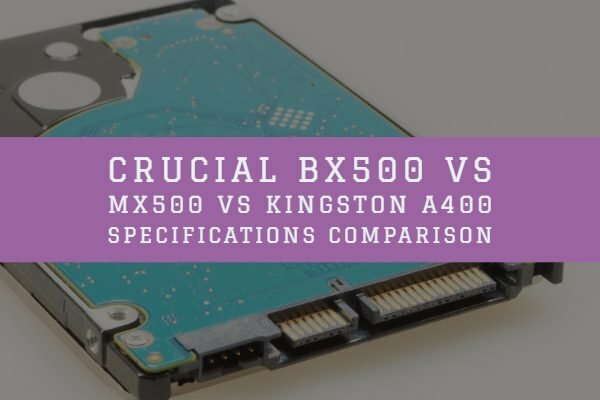 While the features are standardized across devices, expert consultation may be necessary for the initial configuration setup. We hope you like our article on the Best DOCSIS 3.0 Cable Modem available on the market. Use the comment section down below for any questions or suggestions. Cheers!